Guide: bulk Power Bank prices (5 working days). This is the express version of of our very popular keychain or keyring power banks printed with your logo to promote your brand. Accessory: Gift box with 4 in 1 charger cable for iPhone/Nokia/Mini/Micro. Delivery: 5 working days express. Ask about the optional gift box with 4 in 1 charger cable for iPhone, Nokia etc. Lower cost and more colours. We have a non-express version in Green, Yellow, Blue, Black, White & Pink. Power Bank Keychain Keyring Charger CPB06. Have you seen our Express Page? This is also on our Express Products page. We have different sections grouped by delivery times. 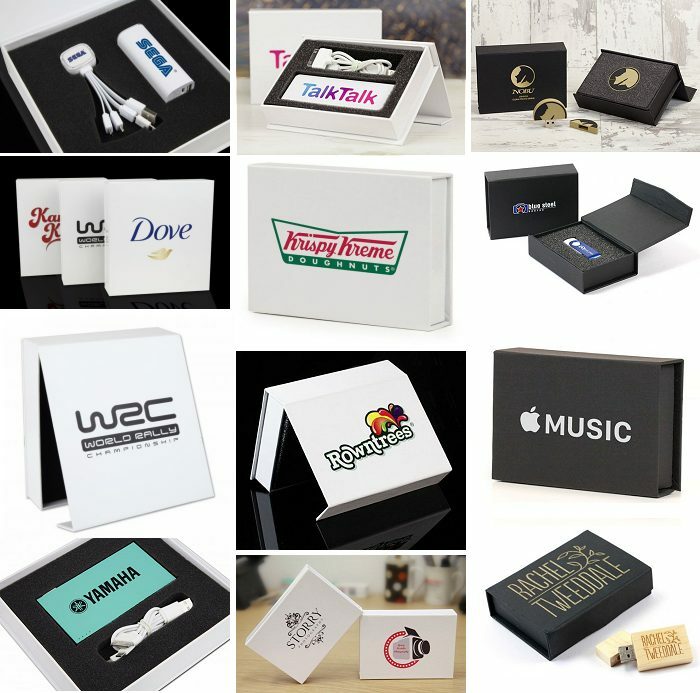 We have a great range of packaging and for our Express Range of products we recommend the Large White Flip Box, White Flip Box and Black Flip Box pictured below.